At the heart of this book is the breakthrough discovery that two different digestions exist for proteins... one for the good proteins; another for bad proteins. The BioChemical A&B Method® is based on this foundation, creating the perfect match between food chemistry and body chemistry, sustaining healthy weight, fighting and overcoming ill... read more! 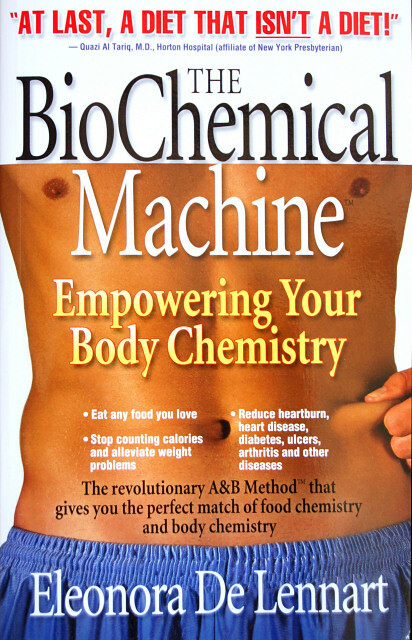 The BioChemical Machine and its revolutionary BioChemical A&B Method® reveals how the perfect match of food chemistry and body chemistry can become an effective ally in the fight against obesity and chronic disease.... read more! Great for the Whole Family, Great for Vegetarians! Savor the experience of eating guilt-free with inexpensive recipes designed to not only taste great but also help you achieve and maintain your ideal weight, enjoy renewed vitality, and even help prevent and alleviate disease. Sylvia Bennett puts the joy back into preparing and partaking o... read more! 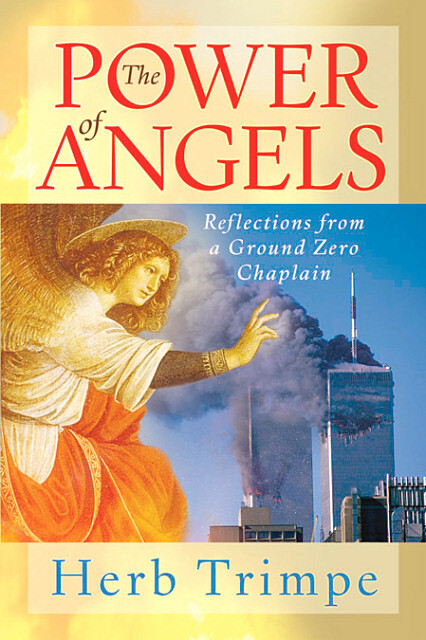 Ordained minister and former chief artist for Marvel comics (The Hulk) Herb Trimpe shares his extraordinary experiences of working hand-in-hand with the many real life angels at Ground Zero following the September 11th attacks. In The Power of Angels, ordained minister and former chief artist for Marvel comics (The Hulk) Herb Trimpe shares his extr... read more! Written by internationally respected professor, Claus Leitzmann, PhD., Molecular Biology Institute of California. 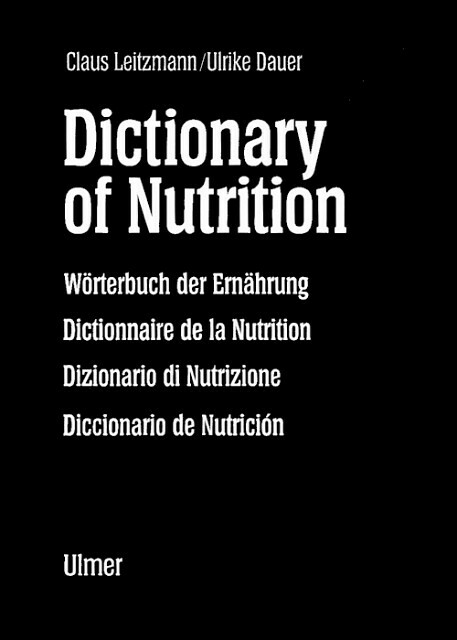 The Dictionary of Nutrition contains over 3,000 must-know terms in the fields of nutrition and physiology. The book, written in English has been translated into four additional languages. Professor Leitzmann's research earned him intern... read more! 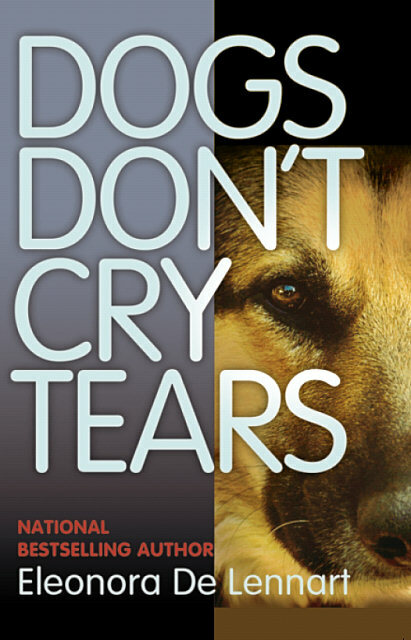 Dogs Don't Cry Tears is a biographical story of a globe-trotting German Shepherd with the odd name Quinky. Born in North Africa, Quinky was one of the descendants of German Shepherds left behind by German officers, under the command of General Rommel, known as "The Desert... read more! 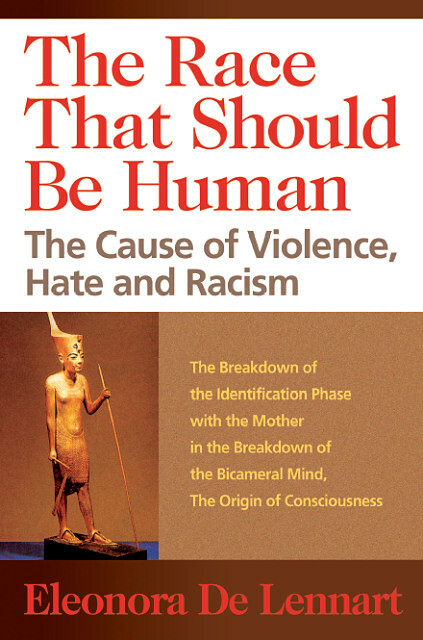 "The Race That Should Be Human is without a doubt one of the most thought provoking scholarly works of the 1990s. Its publication is timely as it adresses perhaps the most pressing need of the world today...The book is a gold mine of revealing information that should be read by all." - Professor Julian Jaynes, Princeton University... read more! The BioChemical Machine The Biochemical Machine II, The Biochemical Machine 2, BioChemical Machine Bio Chemical Machine, BioChemical Machine 2 Big Apple Vision, Big Apple Vision Publishing, Inc., Big Apple Vision Books, Yo-Yo Effect, Eleonora De Lennart, Herb Trimpe, Sylvia Bennett, Sarah L. Birnbaum, Riad Khashoggi , Gloria Van Peterson, Roger J. Brown, R.J. Stern , Allen Warner, Alan Delaney. Jennifer McLane, Joshua Rowling, Robert C. Winston, Norma Jean Goldberg . Frank McNamara (AUTHORS of BIG APPLE VISON) Health, Diet, Weight, Health Problems, Weight Problems, Wellness, Self Help, Weight Loss, Glycemix Index, Low Fat, Low Carb Diet, High Protein Diet, GI Diet, Blood Type Diet, Oprah's Weight Loss Secret, 3-Hour Diet, 6-Day Body Makeover, 8 Minutes in the Morning, ABS, Acid-Alkaline Diet, Atkins, Blood Type, Bob Greene, Body for Life, Cabbage Soup, Jenny Craig, Curves, Glucose Revolution, G.I. Diet, Dean Ornish, Dr. Phil, eDiets.com, Fat Flush, Fit for Life, French Woman's Diet, Glycemic Index, Grapefruit, Hamptons, L.A. Shape, LA Weight Loss, Living Low Carb, NutriSystem, Perricone Promise, Picture Perfect, Pritikin, Scarsdale, Slim Fast, Solution, South Beach, Step Diet, Sugar Busters, Suzanne Somers, Weight Watchers, The Zone, Oprah's Weight Loss Secret, Support System, BioChemical A&B Method Support Club, Pauline Chipponeri, Pilati, BioChemial A&B Crusade, BioChemicalABCrusade@comcast.net New York Times bestseller list, New York Times, People Magazine, National Enquirer, Vanity Fair, Women's World, First for Women, Big Apple Vision was founded on the belief that dedicated individuals can dramatically improve the human condition through knowledge, vision, and courage of conviction. 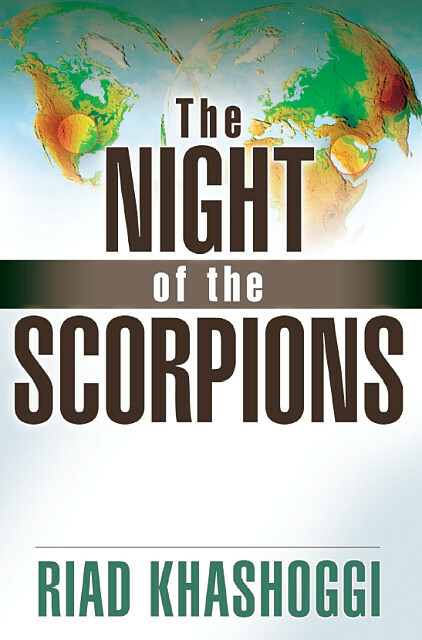 The company is dedicated to promoting the works of enlightened authors, such as Herb Trimpe (The Power of Angels), Eleonora De Lennart (The BioChemical Machine and The BioChemical Machine 2 as well as The Race That Should Be Human), Riad Khashoggi (The Night of the Scorpions and Constitution), Sylvia Bennett ($5 Dollar Menus for Two), Allen Warner (Dogs Don't Cry Tears), Norma Jean Goldberg (Eternity), Professor Claus Leitzmann (Dictionary of Nutrition), Alan Delaney (The Bloody Island), Gloria Van Peterson (Puppet On A String), Joshua Rowling (Can't Live With You, Can't Live Without You), Sarah Birnbaum (Daddy Dearest) who strive to empower people everywhere with spirited and forward thinking ideas. However, on this site is also the SUPPORT CLUB for the BioChemical A&B Method, which took America by storm. The BioChemical Machine by Eleonora De Lennart became an instant bestseller (# 6 Barnes & Noble, # 1 Books-A-Million, #1 Chemistry Books, #7 in Canada, and other 24 bestseller lists). The SUPPORT CLUB Join.. by Pauline Chipponeri, a great BioChemical A&B success story herself, which has been published on July 25, 2005 by the magazine First for Women, helps people with her experience to liberate themselves from health and weight problems-and the Yo-Yo Effect. Big Apple Vision, which means Big Apple Vision Books and Big Apple Vision Publishing, i.e., Big Apple Vision Publishing, Inc., one of the greatest surprise successes in the American publishing industry. Big Apple Vision started with immediate bestsellers which took America by storm, such as The BioChemical Machine by Eleonora De Lennart, $5 Dollar Menus for Two by Sylvia Bennett. Diet Gurus: Suzanne Somers, Arthur Agatston, Dr. Atkins, GI Diet, Glycemic Diet, Acid-Alkaline Diet, Dr. Phil McCraw, Oprah Winfrey, Bloodtype, Ann Louise Gittleman, Oprah, Oprah Winfrey, Oprah's Weight Loss Secret, The award-winning newspaper The Daily Freeman featured Eleonora De Lennart and her book The BioChemical Machine in their Live section on May 5, 2005. 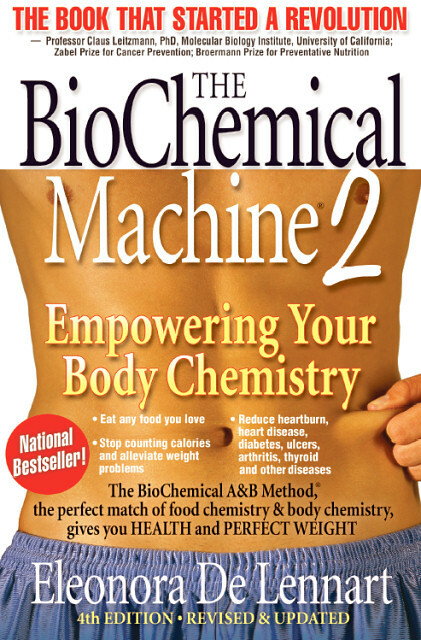 The article Better Living Through BioChemistry... Woman's World published a cover story about the BioChemical A&B Method, Breakthrough biochemical research. The new thyroid cure ... - Woman's World magazine First for Women magazine published two stories. One cover story Discover the European food-sequencing secret that sends energy sky-high and fast packing. And the success story of Pauline Chipponeri The Story That Made the Difference (Thanks to First, my daily fatigue is now history!) Petra Magazine called it a work of genius and along with PILATI the best way of eating in the world. The new A&B BioChemical Method� in Eleonora De Lennart's book is a work of genius, as well as being scientifically sound. De Lennart worked with physicians, professors, and scientists. We tried the A&B BioChemical Method� with great success. - Petra The Book is Flying off the Shelf, story in Blue Stone Press. Cindy Reid, Community Relation Manager of Barnes & Nobles said: The book is flying off the shelf. Hopefully you didn't get sick as well. Because the EXERCISE magazine (December issue) is out TOMORROW, and we checked and didn't find ANYTHING about BIG APPLE VISION PUBLISHING or www.bigapplevision.com, or Big Apple Vision or Big Apple Vision Books, etc. 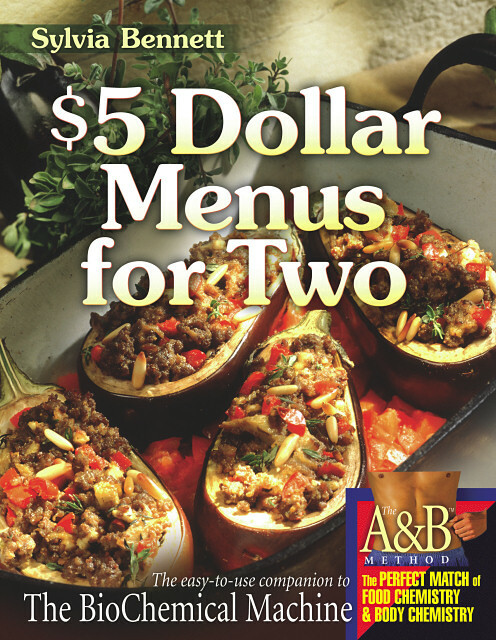 in connection to t he $5 DOLLAR MENUS FOR TWO (which is extremely important because of the Exercise for Men, as you know.) anywhere. Same thing with keywords biochemistr, biochemical, bodychemistry and all the keywords we discussed and which I sent. BIG APPLE VISION PUBLISHING is nowhere to find--by contrast to Bookworld! If you put Big Apple Vision Publishing in the search engine--you get BookWorld.